Stone countertops are beautiful — it’s no wonder everyone wants them in their home. Well, almost everyone! If someone starts believing one of these falsehoods about stone countertops, they’re probably highly likely to change their mind. We wouldn’t want you to fall prey to misinformation. That’s why we’ve created this list of myths, along some truths that you should believe. Granite isn’t as pricey as you’d think. It’s commonly thought of as a luxury upgrade, one that’s out of your price range. You may be surprised to learn that this is a myth! You can find affordable granite counters that fit your style and your budget. Under most circumstances, this is false. Even the toughest granite stains can be extracted with a poultice, even oil-based stains. Quartz is slightly more susceptible to stains, but given normal use, most stains are removable. If you decided to use your stone countertops as a workstation and exposed the stone to chemicals and solvents, those could cause tougher stains that may leave remnants behind. Sometimes quartz isn’t seen as the durable stone that it is. While you shouldn’t install quartz outside in direct sunlight with constant exposure to the elements, quartz can be installed in any room in the house, even if there is plenty of sunlight streaming in. Many people believe you can put hot pans and trays down on granite without any repercussions. This isn’t a hard-and-fast rule though. High temperatures can damage the granite seal, which can mar the surface. It’s better to use potholders and keep your stone safe. Have you ever heard someone tell you that your granite countertop is a trap for bacteria? It might make you scared to even eat off your counters. While it’s possible for any counter to have bacteria on it, the idea that granite is somehow more susceptible than other stones or other material types is nonsense. Keep your counter clean and you won’t have an issue with bacteria! Can you fix stone? Some people might tell you no. Once a stone countertop cracks or breaks, that’s the end. This isn’t true. It’s exceedingly rare for a stone counter to break, so you probably don’t see many professionals advertising their services, but if it does happen, it is possible to fix it, depending on the extent of the damage. Myth #7: Granite, Marble or Quartz — It’s Just a Trend! Here’s the craziest myth of them all — that stone counters won’t be desirable 10 years from now. This isn’t true. 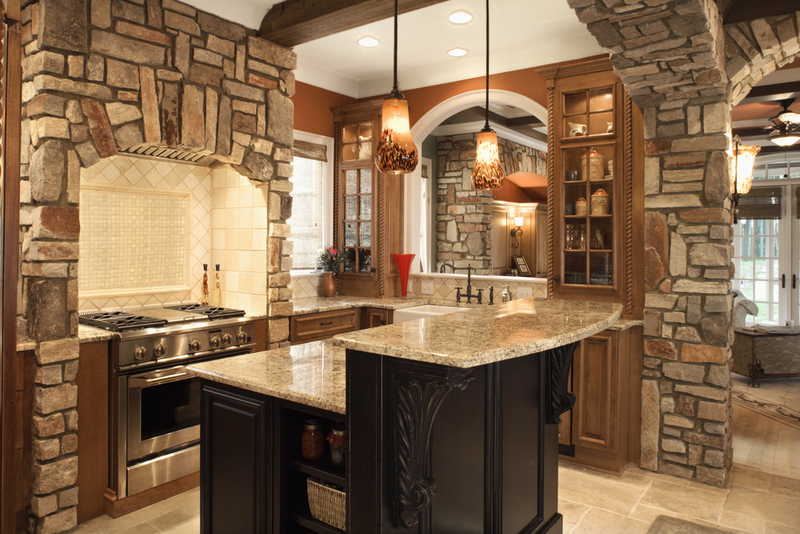 Natural stone adds beauty and class to every design, and that will always be in style. Have a friend or family member who believes one of these false statements? Share this list with them so they can understand their hesitation over installing stone countertops is unfounded! They can also call Intermountain Stone and Marble Company. You can too — we know everything about quartz, marble and granite countertops, and we can offer a custom quote for your home.